2020 Jeep JL Wrangler PHEV Plug-In Hybrid First Sighting! 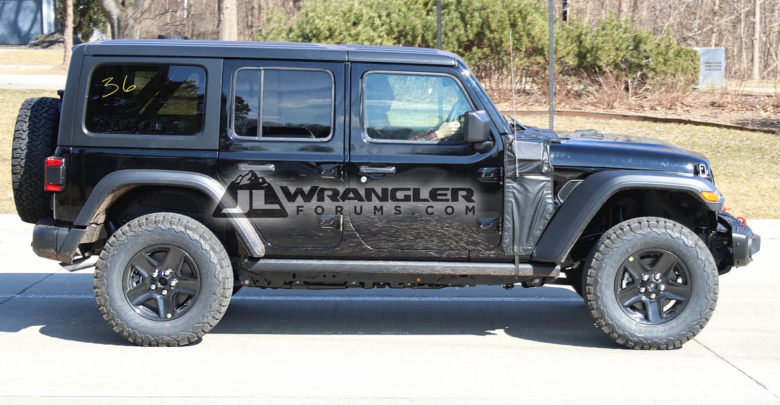 We’ve just spotted the PHEV (plug in hybrid) Jeep JL Wrangler prototype in testing! The camouflage hiding this JL’s fenders obscure the electric charge port — which, according to an earlier report, is located on the driver’s side fender. While following this Jeep, our photographer witnessed the prototype driving in pure EV mode (all-electric mode, without using the gasoline engine) for approximately 25 minutes before turning on its engine. How much all-electric range the PHEV Jeep Wrangler will achieve is not yet announced, but as a reference point of what to expect — the 2019 Pacifica Hybrid manages 32 miles of all-electric range before reverting back to the engine. And just days ago, FCA also announced upcoming PHEV versions of the Renegade and Compass which will achieve 31 miles of all-electric range. 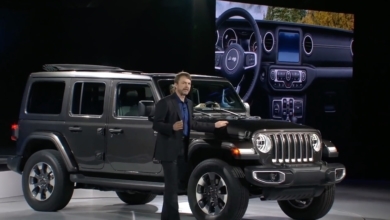 Interestingly, this prototype also wears the Jeep Gladiator grille, which features larger grille openings to allow for more cooling. 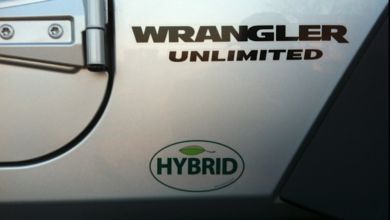 Read on inside for more photos and our info on the PHEV Wrangler.